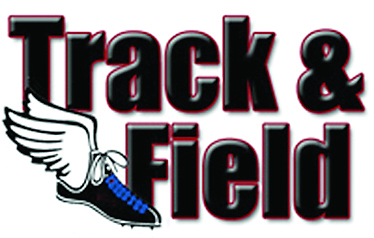 The Natchitoches Central High School track and field teams competed in the Regional Meet for Region 1 – Class 5A April 26 at Alexandria Senior High School. As expected, the 20 teams competing at the 5A regional meet were extremely competitive. The boys team finished in the top six for the following events: De’Jon Blake placed second in the 400 meter dash with a time of 49.83; the 4×200 meter relay team placed fourth with a time of 1:28.54; Cooper Miller placed fifth in the 1600 meter run with a time of 4:35.66; and Desmond Vaughn placed fourth in the high jump with a height of 6 feet, 4 inches. The girls team placed in the top six in three events: Madison Brown placed third in the 300 meter hurdles with a time of 48.10; Tym’mia Helaire placed sixth in the 100 meter dash with a time of 12.70; and Madison Brown placed third in the pole vault with a jump of 10 feet. Three members of the Natchitoches Central High School track and field team qualified to compete at the LHSAA State Outdoor Track and Field Championships at LSU Bernie Moore Stadium in Baton Rouge May 3. From the girls team, Madison Brown put on an impressive performance by placing fifth in both the 300 meter hurdles and pole vault. Brown ran 47.54 in the 300 meter hurdles and jumped 10 feet, 6 inches in the pole vault. For the boys team, Desmond Vaughn had an incredible jump of 6 feet, 6 inches in the high jump which earned fourth place and De’Jon Blake ran 50.29 in the 400 meter dash for an eighth place finish. An awards banquet for the Natchitoches Central High School track and field team was May 8 to recognize those lettering in track and field as well as All District honors. The coaches also presented awards to certain team members to recognize their accomplishments.